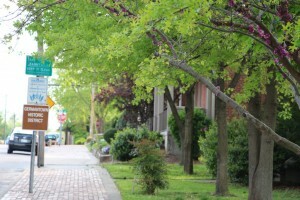 Germantown is one of Nashville's oldest neighborhoods. Street after street of tree-lined sidewalks and beautifully restored turn of the century homes await you here. If new construction is more to your taste, you will find some great town home communities with carriage and row houses. The heart of Germantown is dotted with great restaurants, bars and coffee shops that are within east walking distance for its residence. Each Fall the streets come alive with vendors, craftsman, musicians and performers for the annual OctoberFest. Germantown is one of Nashville's oldest neighborhoods. Street after street of tree-lined sidewalks and beautifully restored turn of the century homes await you here. If new construction is more to your taste, you will find some great town home communities with carriage and row houses. The heart of Germantown is dotted with great restaurants, bars and coffee shops that are within east walking distance for its residence. Each Fall the streets come alive with vendors, craftsman, musicians and performers for the annual OctoberFest.